Inborn errors of metabolism form a large class of genetic diseases involving congenital disorders of metabolism. The majority are due to defects of single genes that code for enzymes that facilitate conversion of various substances (substrates) into others (products). In most of the disorders, problems arise due to accumulation of substances which are toxic or interfere with normal function, or to the effects of reduced ability to synthesize essential compounds. Inborn errors of metabolism are now often referred to as congenital metabolic diseases or inherited metabolic disorders. The term inborn errors of metabolism was coined by a British physician, Archibald Garrod (1857–1936), in 1908. He is known for work that prefigured the "one gene-one enzyme" hypothesis, based on his studies on the nature and inheritance of alkaptonuria. His seminal text, Inborn Errors of Metabolism was published in 1923. Traditionally the inherited metabolic diseases were classified as disorders of carbohydrate metabolism, amino acid metabolism, organic acid metabolism, or lysosomal storage diseases. In recent decades, hundreds of new inherited disorders of metabolism have been discovered and the categories have proliferated. Following are some of the major classes of congenital metabolic diseases, with prominent examples of each class. Many others do not fall into these categories. Because of the enormous number of these diseases and wide range of systems affected, nearly every "presenting complaint" to a healthcare provider may have a congenital metabolic disease as a possible cause, especially in childhood. The following are examples of potential manifestations affecting each of the major organ systems. Dozens of congenital metabolic diseases are now detectable by newborn screening tests, especially the expanded testing using mass spectrometry. This is an increasingly common way for the diagnosis to be made and sometimes results in earlier treatment and a better outcome. 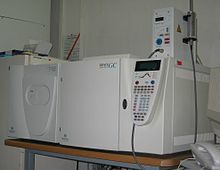 There is a revolutionary Gas chromatography–mass spectrometry-based technology with an integrated analytics system, which has now made it possible to test a newborn for over 100 mm genetic metabolic disorders. A 2015 review reported that even with all these diagnostic tests, there are cases when "biochemical testing, gene sequencing, and enzymatic testing can neither confirm nor rule out an IEM, resulting in the need to rely on the patient's clinical course." ^ "Inborn errors of metabolism: MedlinePlus Medical Encyclopedia". medlineplus.gov. Retrieved 2017-02-27. ^ "Inherited metabolic disorders - Symptoms and causes". Mayo Clinic. ^ Cantú-Reyna, C.; Santos-Guzmán, J.; Cruz-Camino, H.; Vazquez Cantu, D.L. ; Góngora-Cortéz, J.J.; Gutiérrez-Castillo, A. (4 February 2019). "Glucose-6-Phosphate dehydrogenase deficiency incidence in a Hispanic population". Journal of Neonatal-Perinatal Medicine: 1–5. doi:10.3233/NPM-1831. ^ Navarrete-Martínez, Juana Inés; Limón-Rojas, Ana Elena; Gaytán-García, Maria de Jesús; Reyna-Figueroa, Jesús; Wakida-Kusunoki, Guillermo; Delgado-Calvillo, Ma. del Rocío; Cantú-Reyna, Consuelo; Cruz-Camino, Héctor; Cervantes-Barragán, David Eduardo (May 2017). "Newborn screening for six lysosomal storage disorders in a cohort of Mexican patients: Three-year findings from a screening program in a closed Mexican health system". Molecular Genetics and Metabolism. 121 (1): 16–21. doi:10.1016/j.ymgme.2017.03.001. ^ a b c d e f g h i j k l Applegarth DA, Toone JR, Lowry RB (January 2000). "Incidence of inborn errors of metabolism in British Columbia, 1969-1996". Pediatrics. 105 (1): e10. doi:10.1542/peds.105.1.e10. PMID 10617747. National Institutes of Health offers the office of rare diseases, home reference, medlineplus and health information. This page was last edited on 12 March 2019, at 23:29 (UTC).